Flushed with Olympic fever, Kiosk’s Novato team got in on the games with an Olympic office dress up day, in support of Homeward Bound of Marin. 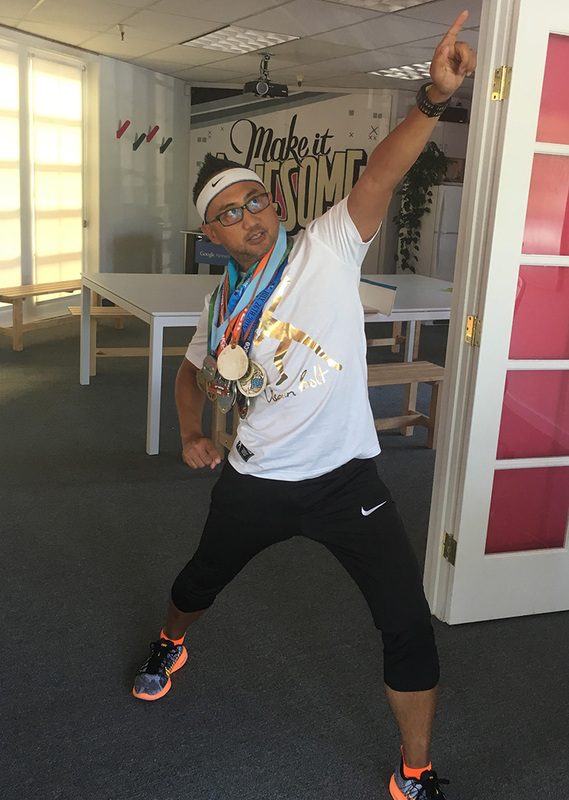 Our highly-competitive creative director Mannie Rabara took home the gold, to add to the vast collection of running medals he wore for the day. Mannie was team captain for Kiosk’s entry in the Marin Human Race, so he continues his successful Kiosk sporting streak. 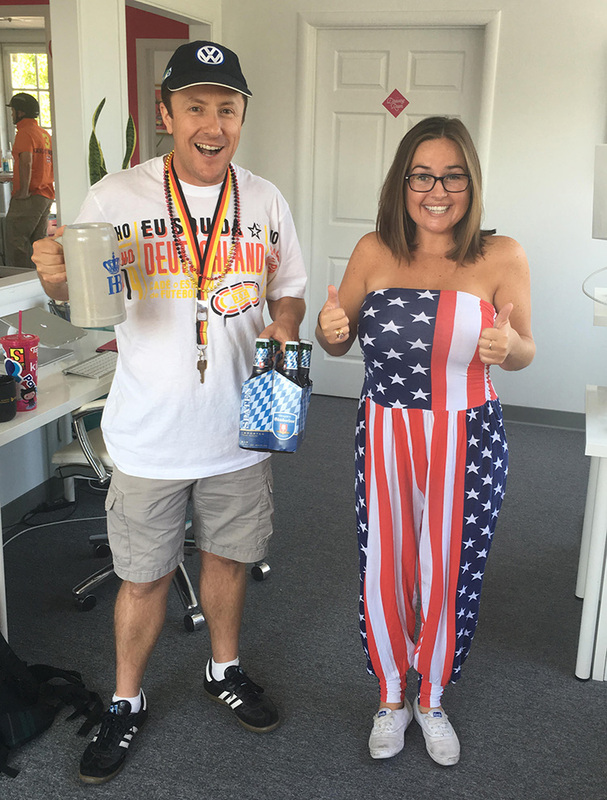 Marketing Account Exec Molly Lazor flew the flag for Team USA, jumpsuit style to bring home the silver, as voted by fellow Kioskers. If you’d like to join a team that likes to work hard, play hard and put on a costume for charity on occasion, check out our Careers page.